Designproffs.se is a small advertising agency in Gothenburg that designs all types of printed materials. Designproffs.se helps with everything from creating attractive logos and new business cards to catalogue design and handling larger printed material campaigns. Design Professionals is also a sister site to us at Joomlaproffs and the page has a unique and minimalist design but uses while many of Joomla's advanced features and components. 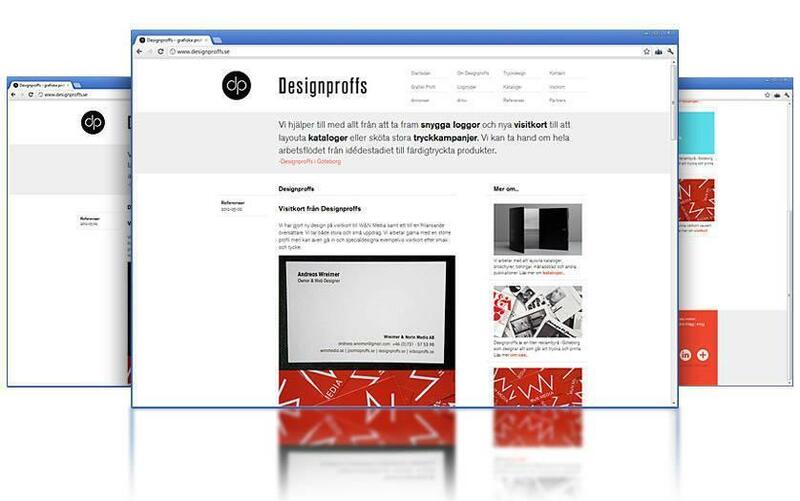 At designproffs.se we use both Google Analythics and Google Webmaster Tools. This provides Google with up-to-date and correct information on the site and also provides us with the opportunity to monitor and analyze traffic to the site.